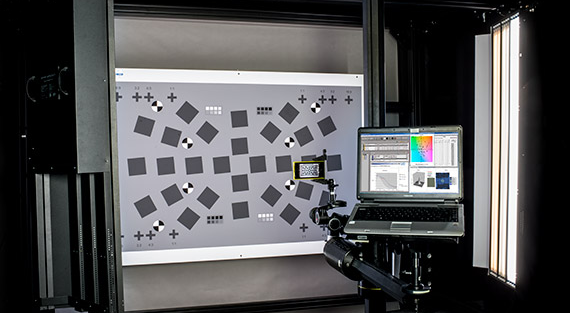 When you purchase Analyzer, DxOMark Image Labs’ world-renowned image quality testing solution, we are with you every step of the way: We provide detailed specifications and advice to help you set up your image quality testing laboratory, and we help you install Analyzer hardware and software components. DxOMark Image Labs engineers and image specialists provide on-site training of your engineers and technicians so that they can confidently perform measurements to derive accurate and complete diagnoses of all tested devices. DxOMark Image Labs also provides you with world-wide customer service to answer your questions.